He also mentions the considerable dry-hopping that (as is obvious from the flavour of the beer) takes place with Bengal Lancer: by coincidence I recently found a reference from around 1829 or so that pretty conclusively suggests the “original” IPA, from Hodgson of Bow (though it wasn’t being called IPA at that time), was also dry-hopped, so that’s authentic enough. After a couple of pints contentedly taste-analysing, I did find I was wanting something with a little more “heft” to match the complexity of flavour: this is 5 per cent abv, but I think it might have been better as a beer at 6 per cent. On the other hand, I’m sure Fullers would have problems marketing a draught beer at that strength, stronger even than ESB. Perhaps the bottled version could be made at a higher OG? It’s perfectly possible you won’t like this beer, but I hope it stays as a regular in the Fuller’s line-up: as a committed “portfolio” drinker I can see myself starting an evening with Bengal Lancer, appreciating its varied attractions: then moving on to Chiswick Bitter or London Pride for the bulk of the session; and rounding off with a half of ESB to see myself out the pub door. Bengal Lancers, of course, are associated with horses, and Adnam’s Tally-Ho features a horse-riding huntsman: I was excited to see that the brewery was issuing a bottle-conditioned version of the beer for the first time in Methusalah’s lifetime, and relieved to find, when I was able to get to my local Adnams shop in February, that it still had some left. I’ve put aside a few bottles for maturing, and sampled one so far: at 7.2 per cent abv, even though it was brewed last October, it may still be a little too young. But it’s a good old-style Old, which it should be if Adnam’s, as the brewery claims, has been brewing it since 1880. There’s prunes, toffee, raisins and a touch of fennel, all on a good, sharp, peppery wallop, with caramel oranges way back in the distance. This would be a great beer for strong cheeses on cold evenings. Come back next Christmas and I’ll tell you how it’s improved after a year in bottle. The third beer I was glad to get hold of in my two brief weeks Blightyside was Thornbridge’s Kipling, the Derbyshire brewery’s “South Pacific pale ale”. This features New Zealand’s new Nelson Sauvin hop, named because it’s supposed to have flavours reminiscent of the Sauvignon Blanc grape variety. As an experiment I opened a bottle of Akarua Sauvignon Blanc from New Zealand for Mrs Z at the same time as I opened a bottle of Kipling for me. The Akarua is an amazingly aromatic wine, with the scent of gooseberries and passionfruit and elderflowers coming at you out of the glass from literally feet away. And does the Kipling exhibit the same aromas and flavours? Why, yes, yes it does – it’s an excellent beer with curries, as I proved around at a friend’s house a few days later. “Do you like Kipling?” “I don’t know, I’ve never kippled.” If you haven’t kippled yet, I suggest you give it a go: you’ll enjoy it. This post brought back so many memories! While travelling in Madegascar the only available beer was called 3 horse beer. Really yummy in the sweltering heat while sailing on a yacht. London-based brewer Fuller’s has threatened to sue Swedish microbrewery Sigtuna Brygghus. Whats your opinion? 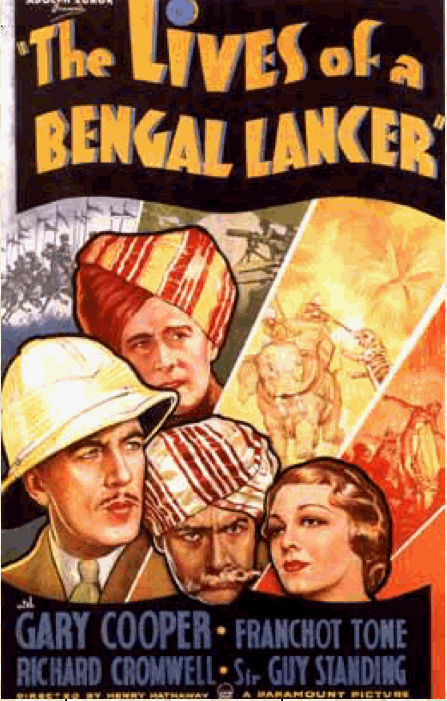 Will Bengal Lancer be exported to the States in bottles??? In Toronto, Fuller’s has sent over the “season” a good few cask beers to a number of pubs, and one, termed here simply “IPA”, was I believe the Bengal Lancer. I had it twice, once it was just good bu the other time outstanding, with a big English hop nose and taste. I don’t think it changed much in transit since the taste was very similar to what you described, Martyn. I hope Fuller will keep sending real ale our way although its regular draft beers drink very well here as well. I was privilaged to try Kippling recently. it was much more restrained than the local brewerys who use Nelson Sav, but pretty tasty all the same. Its a hop thats easy to over do but can be used to sublime effect when used well.